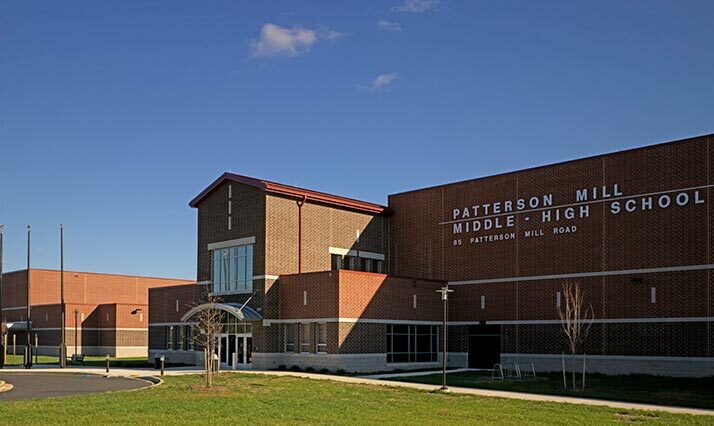 J. Vinton Schafer and Sons provided construction management services for the new Patterson Mill Middle/High School. 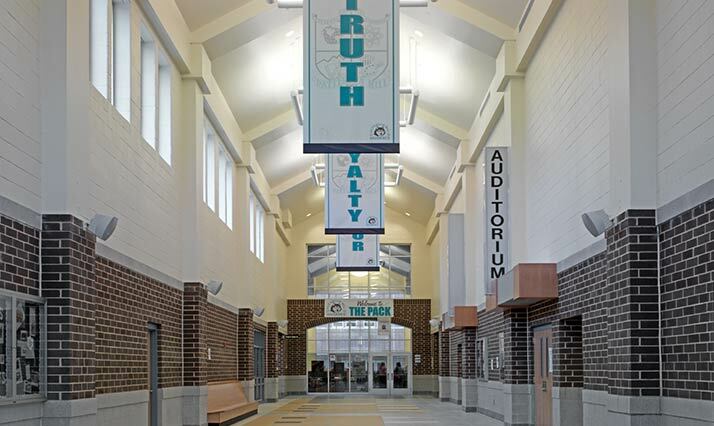 Located in Bel Air, Maryland, the 1600 student, 226,000 square foot school, is state-of-the-art; one of the newest high schools in Harford County. 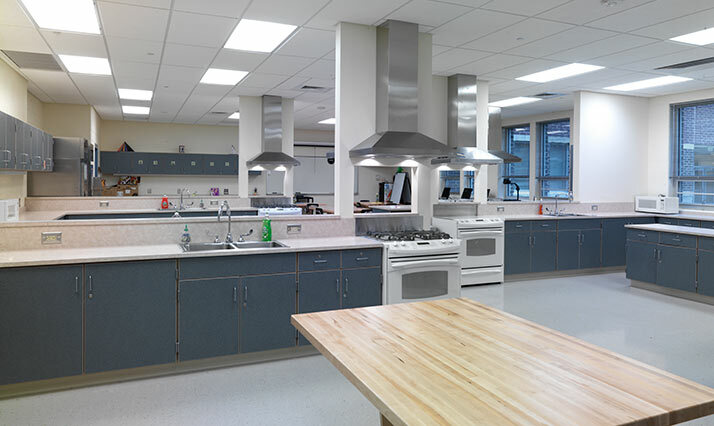 The building sits on a 79-acre site and includes multiple indoor and outdoor instructional areas. 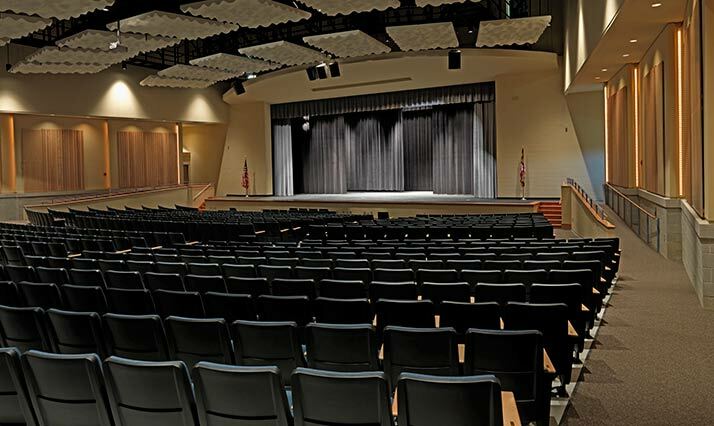 Indoor areas include – classrooms, administrative offices, a gymnasium, physical education areas, locker rooms, an auditorium that seats 910 people with a 13,517 square foot mechanical mezzanine, a mass communications lab, radio station, television studio, black box theatre, a sculpture studio, graphics lab, visual communications lab, child development lab and center, a clothing/design lab, computer labs, a pre-engineering lab, flex (foreign language) labs, multiple seminar and extended learning rooms. 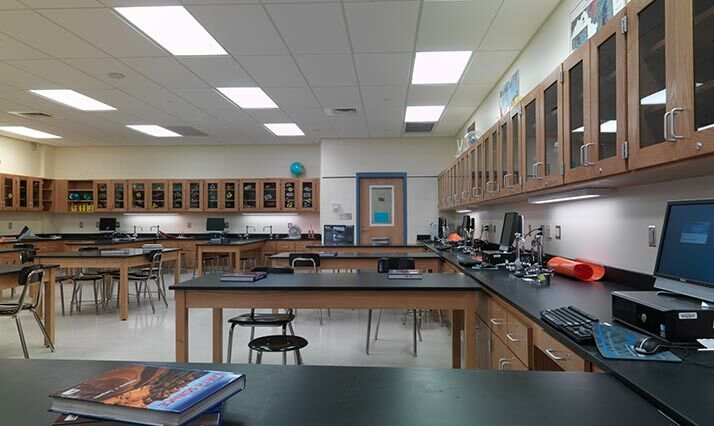 All classrooms are outfitted with LCD projectors, interactive white boards, high definition televisions, laptop computers, desktop computers and additional media. Outdoor areas include – Athletic fields, a stadium with a track and fence surrounding the field (lighting for nighttime events), plus 476 parking spaces and a public water and sewage system.